I live in a small city called Santa Fe. Among American cities, this one is called old. I’ve taken writing seriously—and have obsessed over books—for sixteen years. The years don’t mean much on their own; the years merely mark an inclination. This inclination to make, own, and talk about books feels apolitical. Apolitical insofar as it seems further adrift from contingent affairs than other disciplines; the lover of books should see the book as a testimony to the fundamental desire to express, and to be considered far beyond one’s time. I see in old books—which I’ve studied often in Santa Fe—the testimony of our being in similar patterns. We eat and fight to do so; we sleep and dream of other ways, sometimes aloud; we do not cease in our attempts to make the world ours, or, if not ours, a familiar villain. These acts are crystallized and preserved through books—books as the salt of being. The world can press us into many shapes. Human relations constitute the thumb now; many years ago, the thumb was a mute world of threat and nutrition. We have made ourselves our sculptor—unconsciously—in the process of making tools that aimed at older goals: neutering the world’s dangers; tailoring its energies to our tastes. In our grabbing at power, we have caught our bodies in the play of our rough fingers. Now we can crush ourselves, and this is the purest expression of our power over life. This power is often forgotten among the wash of entertainment. We distract ourselves from the fact of culture’s fiction, and therefore forget its malleability. News of our minor differences is made to sharpen all tongues, escalating difference into madness. What bleeds still leads—and this thread of blood is confused by many as revealing the exit to our labyrinth. Some return to old things, seeking refuge in dead testaments. And some of those revenants read books. The old books, when genuinely faced, are stranger than most know (or would admit). The reader’s estrangement develops while facing long-gone attempts at order, and this distance folds in and forms a pocket: the pocket is warm, and furnished with the feeling of deep, deathless meaning. The old books are read for signal—though too rarely for the fire that crafts a rising smoke. Funnily, not one of the old books promises the precise threats that gleam against our necks. This does not stop some readers from rehearsing themselves into believing that the old problems are simply the new problems—that we don’t generate novelty, and therefore that we do not and will not need new thinking. Yet habits and acts are the only landmarks; the fact of the dignity that should arise in struggle, construed from the dust and mildew on the old pages that nonetheless keep their ink, melts before the convinced in their rabid quest for old, hard nouns. When those who foam read the old books, concepts become like knives: meant only to cut through the world. Seekers, or the lost—the dedicated readers—keep reading. Since they don’t yet feel armed, they realize they never will. Fated to an irresolute appreciation of human labor, they then sink into the belief that their being unmoored is equivalent to their drowning. This is not true, but saying so does nothing to modify the belief. I say: you are this reader. Somehow, the water warms in your descent. The pressure of the water above your head feels like a function of the height of all the pages you’ve read. Speech gets lost in the opacity of this water, in the greedy pressure of being immersed. This silence—this, too, insulates you. You are still reading the books, and they’re becoming younger. You read alongside those warriors who read for weapons, and you read alongside those who read to caw someone else’s tune. You even read with those like you—the submerged ones—and when they speak you feel some daylight. The light clarifies your position: you are hidden from much of the world, but you’re not alone. Given enough time, though, and even this speech from others underwater loses its clarifying principle. In this next station of loneliness, you see that your desire to be silent—first a simple anxiety, then a yearning, then a sad duty—is contingent with your desire to not speak like others. In this way novelty sparks alive to you, no longer a lost flame. You sense with a great might: novelty and agnosticism form a picture. An image of a solid life: philosophy and mathematics and science befits discussion, yet novels and poetry get at much more of the world. You gradually adjust your speech in person, at parties; you stay away from universal claims because you are now allergic to them. You omit so much, yet play much more. You appreciate moments of understanding because you’ve seen the work needed for even the briefest. You turn to face your city. In this city called old by no misnomer, you feel the weight of the ocean in the slopes of its hills. 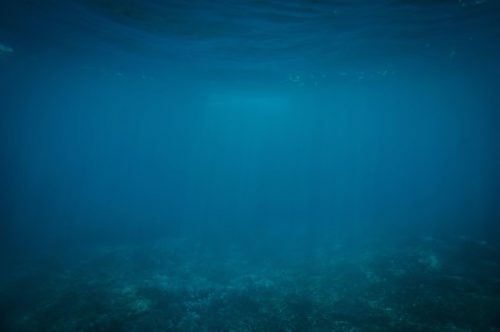 You see the place as what it once was, without the veil: the seabed. And then, for the first time in many years, you feel your feet reach bottom.